In this series of short videos we're hoping to start you asking questions or give you jumping off points for deeper research. A great place to go test your assumptions and maybe pick up some ready to use tips! Sometimes simple shared experiences, sometimes hard won controversial positions but always short videos giving you tips, advice, and insight for diving deep. 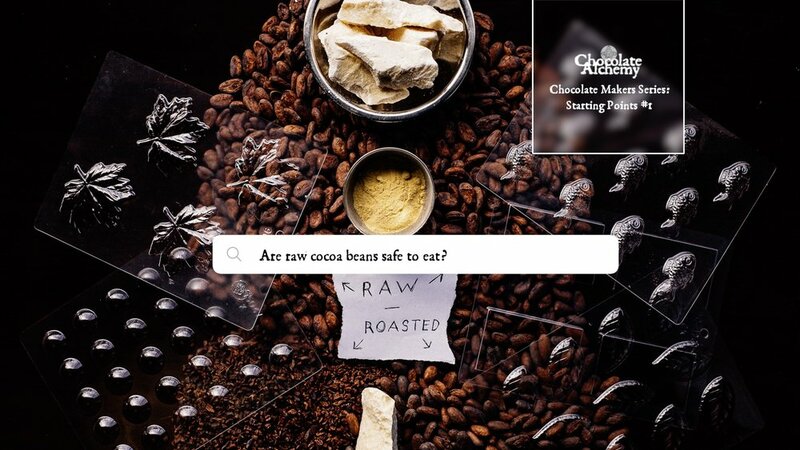 There's a lot of confusion about Raw Cocoa Beans and The Alchemist wants to help clear it up. When you're first starting out there are is so much to learn but when you're an Alchemist there is so much you already know and take for granted. We asked some fellow chocolate makers for some things they wished they knew when they first started out. Just getting started? Find out what gear is absolutely required to make modern, smooth, chocolate on a small scale at home.